In South Africa, teams from around the globe are currently competing for their slot in the final bracket. 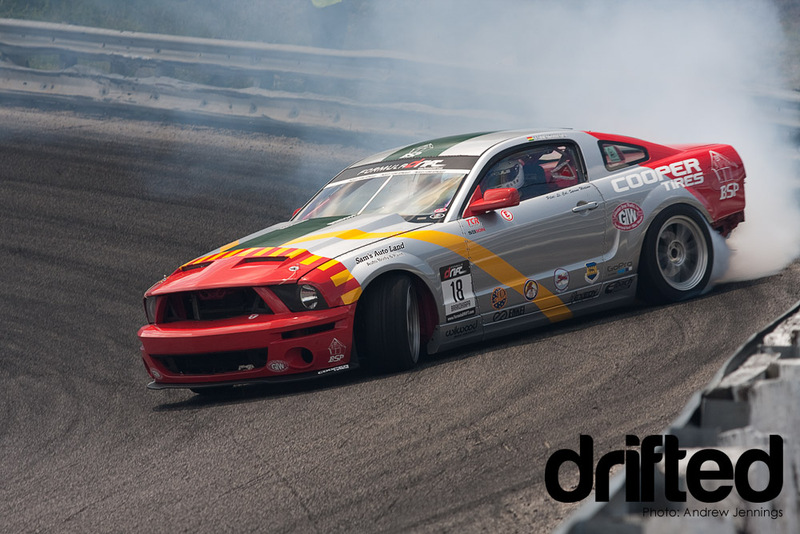 Earlier this month at Wall Speedway in New Jersey, the competition was also heating up as Formula Drift‘s professional drivers – hailing from many nations in domestic and import race cars – set out to qualify for Saturday’s main event. They had only two chances to impress the judges with a perfect run, each of which was scored from 0 to 100. No matter how good their practice had been, it was time to put up or shut up. Could Darren McNamara, the 2009 event winner, further his chances of a repeat by taking the top spot? Click past the break to see how it all went down. Formula Drift allows for a large and diverse field to compete at any given event, but only 32 are accepted into the final bracket of tandem battles. Qualifying is run in reverse order, according to the current championship standings. This puts more pressure on the underdogs such as Matt Powers. Even if they put down a great run, their rivals will still have a chance to react and supersede them. Be it weight savings, or a desire to feed more raw air into the engine, Matt often ends up running often without his front bumper. He would qualify 17th, a very respectable place to enter Saturday’s bracket. Respectable, sure. Lucky? Maybe not. Qualifying 16th just ahead of him was Dean “Karnage” Kearney – his first successful outing for his maiden season in the States. A top 32 bracket pits the two middle positions against one another, meaning these two would meet again in the first round of tandem battles. That parley would go to Kearney, who moved on to the top 16. Another transplant looking for his shot in the big show was Mad Mike Whiddet. He was unable to qualify for the first round in Long Beach, and was eliminated in the first round of 32 in Atlanta. How would he fare at Wall? Although he put down a solid qualifying run, his 22nd seed was not meant to be. 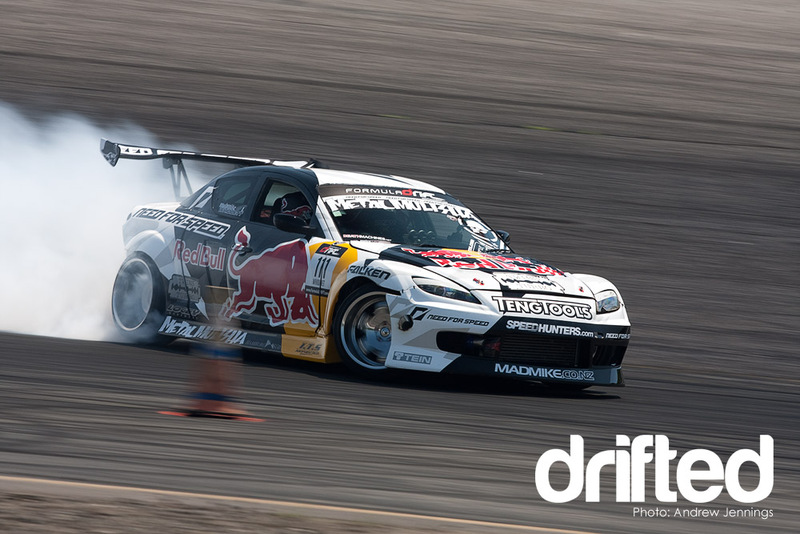 During practice on Saturday morning an axle was broken on the Red Bull adorned Mazda RX-8. The car could not be repaired in time for the main competition, which gave Michihiro Takatori a easy pass into the round of 16. When they are not on the track, the drivers and teams look on from a private grandstand. Joon Maeng, seen in the front row here, was unable to qualify because of a spin in each of his runs. A good sport, Maeng was always present throughout the weekend, cheering on his fellow Drift Alliance teammates. 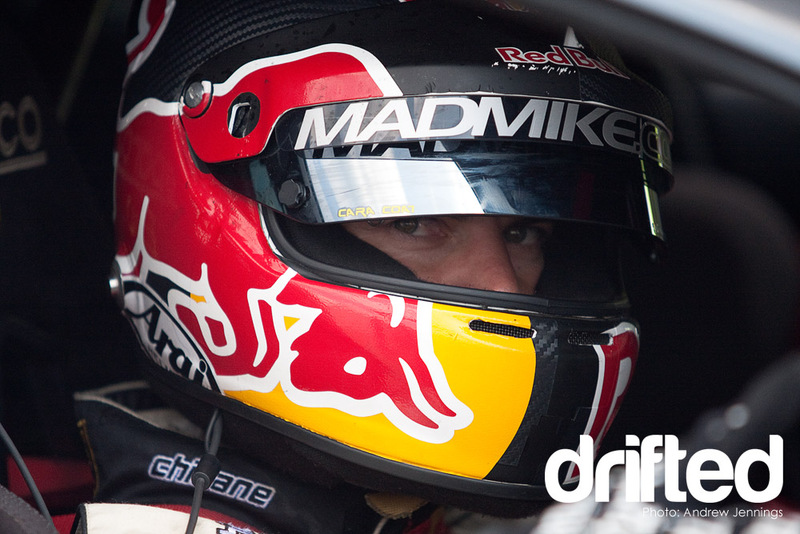 He’ll be back in the Bergenholtz Racing Mazda RX-8 next round for redemption. Chris Forsberg, the 2009 Formula Drift champion, was also eagerly anticipating his qualifying chances. Here you can see the actual track reflected in his sunglasses as he waits for his turn at the oval. In his first run, Forsberg laid down an 85.1, easily securing him a place in the top 10 for the main event. As he went out for his second run to try and improve, the rear of his NOS Energy Drink Nissan 350Z caught the guardrail. The hit spun his front end up towards the barrier again, contacting his front left corner hard. It was enough to brake the suspension and undo the steering alignment, but the driver was luckily unharmed. 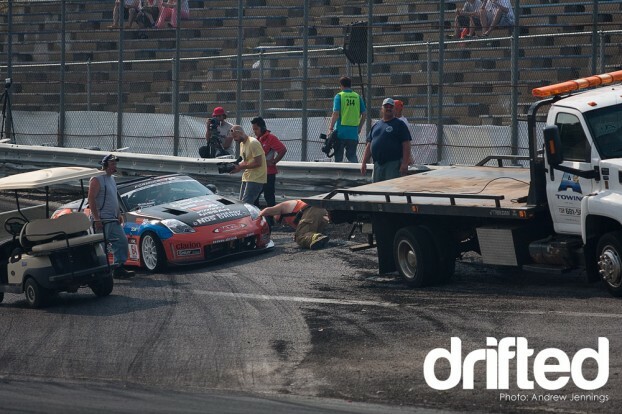 In the next photo, he waits on track to be towed away, his two front wheels pointing in opposite directions. Want to get the full scoop on the classic Ford Fox Body Mustang? Try our complete Fox Body Mustang guide. 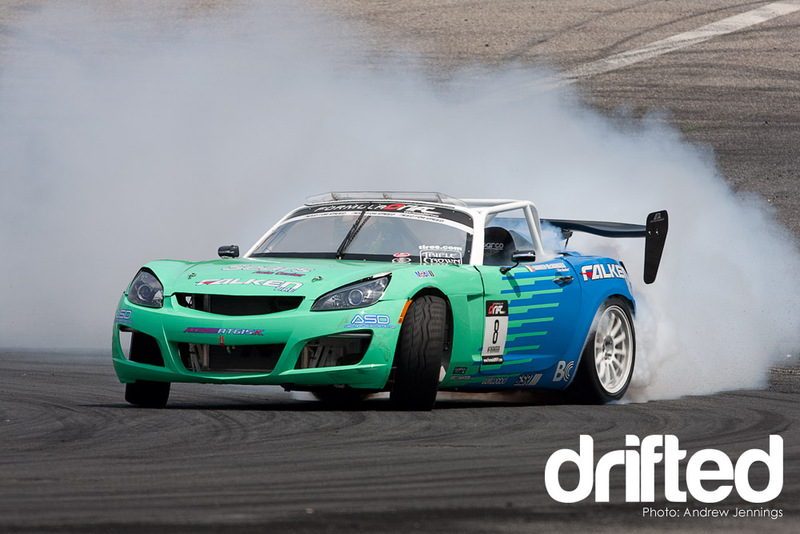 In 2009, the podium was swept by the Falken tires crew of Darren McNamara, Vaughn Gittin Jr., and Tyler McQuarrie. Ken Gushi, in his RWD Scion tC was almost able to spoil that for the green and blue squad, placing fourth behind McQuarrie in the consolation round. For 2010 both he and Kyle Mohan (seen below during an early practice run) were in fine form, qualifying 15th and 14th respectively. Mohan would not make it past the top 32, losing his momentum and spinning out against Forrest Wang in the top 32. Gushi on the other hand bested Matt Waldin in the top 32, working his way up to the top 16 in the main event. So what of the Falken crew? Tyler McQuarrie in the Nissan 350Z qualified 12th, a spot that paired him with Tony Brakohiapa in the Team X Ford Mustang. Brakohiapa was unable to keep up with the convertible in the top 32, and McQuarrie would advance into the top 16. Vaughn Gittin Jr., the current points leader in the 2010 championship, qualified 5th. 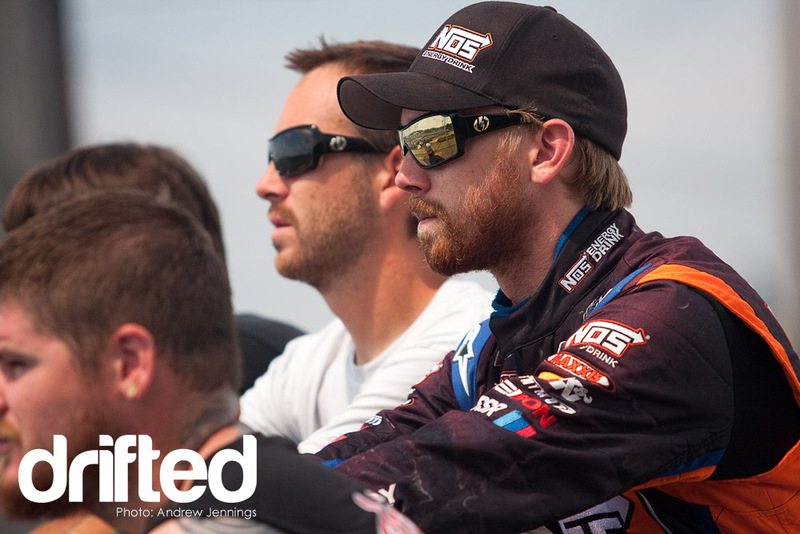 Hot off his win in Long Beach and 2nd place in Atlanta, he could smell victory on the horizon. Or maybe that was just roasted tires. It all smells the same right? 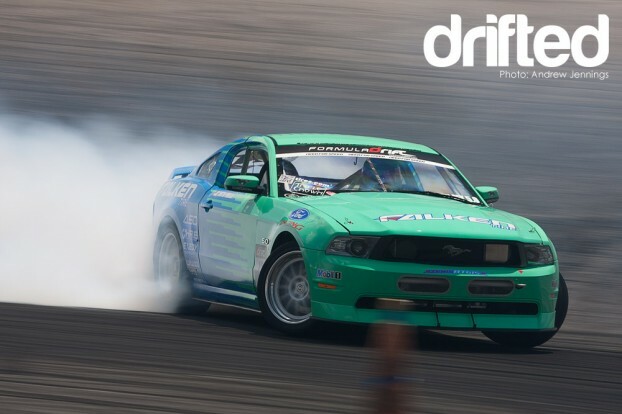 Justin Pawlak, having nabbed a seat at the Falken racing team during the off season made good use of Gittin’s 2009 Mustang. It must be nice to have a car that’s already perfectly tuned before you ever sit behind the wheel. He qualified 4th just ahead of his teammate. Darren McNamara (the lead photograph at the beginning of the post) was looking good, sitting in 1st place with a score of 90. Until Ryan “Hampsha” Tuerck came up to take his second run. 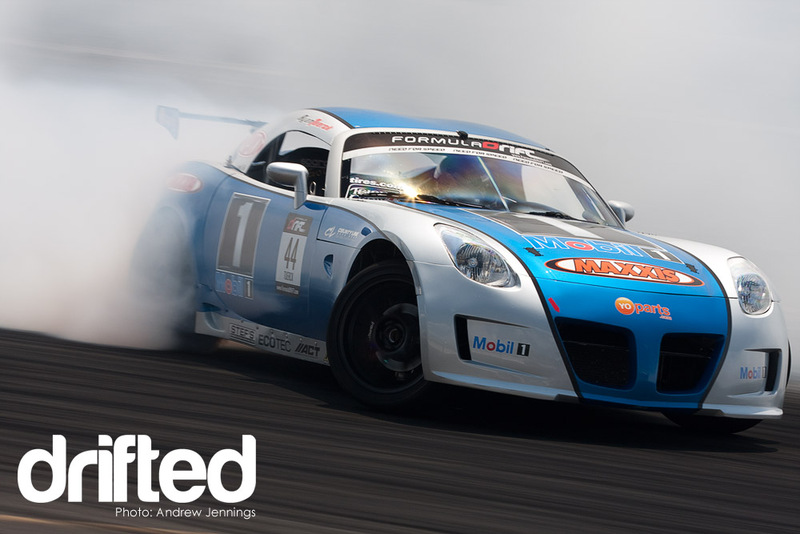 The Gardella Racing Pontiac Solstice GXP lit up more tires than anyone else to clinch the top spot with a score of 92.7. 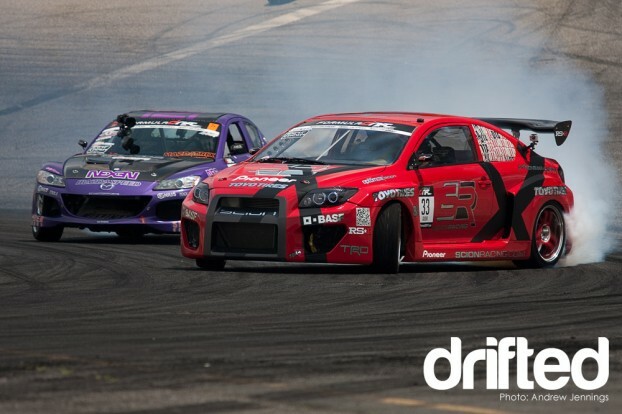 Daijiro Yoshihara qualified third to round out the top of the bracket, looking strong after his recent win in Atlanta. Check out the full list of qualifying results below, and keep your browsers here with Drifted for another installment soon where I’ll recap the main race. The photographs above are part of larger coverage provided to AutoImportCraze.com. Be sure to check out the full gallery there for more! Andrew Jennings is a photographer and editorialist based out of Nashville, TN. 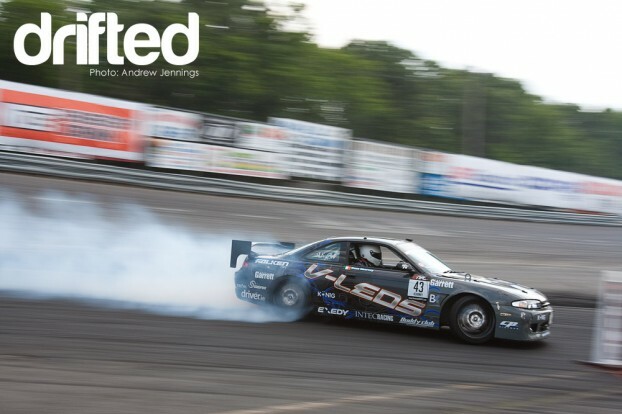 He has been covering the American drift scene since 2007, and his work has been published in nationally syndicated magazines such as Modified Magazine, Import Tuner, Performance Auto and Sound, and RIDES. Andrew may be contacted through his professional online portfolio, or the social networks listed below.